Blackheads are a type of acne, a reality for almost every person at some point in their life. They are the result of natural processes that occur within the skin. 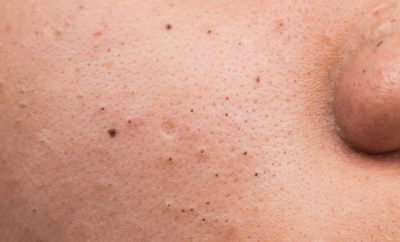 To understand how to get rid of blackheads, it’s important to understand what blackheads are and what causes them. Blackheads appear most often in the “T-Zone” of the face (forehead, nose, and chin) but may also appear on the back, chest, arms, and shoulders. They can occur wherever there is a great density of hair follicles and their attached oil glands. Because natural hormonal changes in the body lead to excess skin oil, clogged pores and ultimately blackheads, it’s almost impossible to go through life without a few breakouts. Although blackheads are bothersome, they are not a serious condition. Most people can get rid of blackheads with topical products that contain salicylic acid and benzoyl peroxide.